Bundle Transformer it is not recommended to use together with the StyleBundle and ScriptBundle classes, because these classes already contain transformations (instances of the built-in minifiers: CssMinify and JsMinify). Use a Bundle class. But in order to get Twitter Bootstrap to work it takes a bit more work. Here are the steps that worked for me. If you have "shared" .less files from other projects I found importing them in site.less right after boostrap.less to work pretty well. They'll have access to all the mixins. If there is a better/easier way to do this please let me know in the comments! 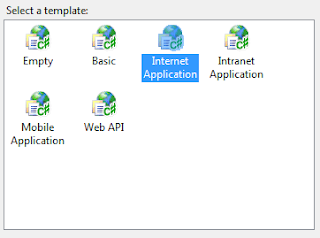 This article explains how to preserve the state of input checkboxes in a Telerik ASP.NET MVC Grid control when paging, sorting, and filtering. This solution only works for client side Data Binding. If you're using Server Side Data Binding you'll need to come up with a different solution. I'm a big fan of the Grid control. 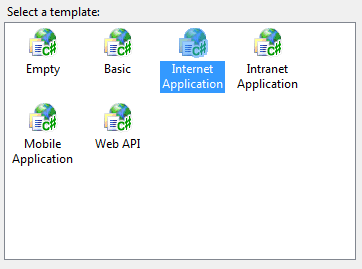 It's a real time saver and fills in a big gap that ASP.NET MVC is missing over WebForms! NOTE: You'll want to change YOUR_GRID_ID to match what you set your Grid's Name to. The code above uses the global variable selectedIds to store the values of each selected checkbox in the grid. I use the jQuery live method to attach the change event to every checkbox in the grid. The nice thing about live is that it will catch new checkboxes that are loaded when paging, filtering, or sorting. The next step is to restore the checkbox states after each ajax request that changes the grid. //set checked based on if current checkbox's value is in selectedIds. I use the Grid's OnDataBound client side event, which fires after the Grid is finished loading new data, to parse threw all the new checkboxes and set their checked state based on if their value is in our selectedIds global variable. If this helped you or you have a suggestion to improve it, let me know via the comments! I've also owned, modified, and driven 8 different turbo, all-wheel-drive Mitsubishi's over the last 8 years including an Evo IX MR that I raced at the highest levels of SCCA Solo II (AutoX) competition in the STU class.